February is the end of winter and thus our thoughts start turning toward the spring, which tradition and biology suggest is the time of love. 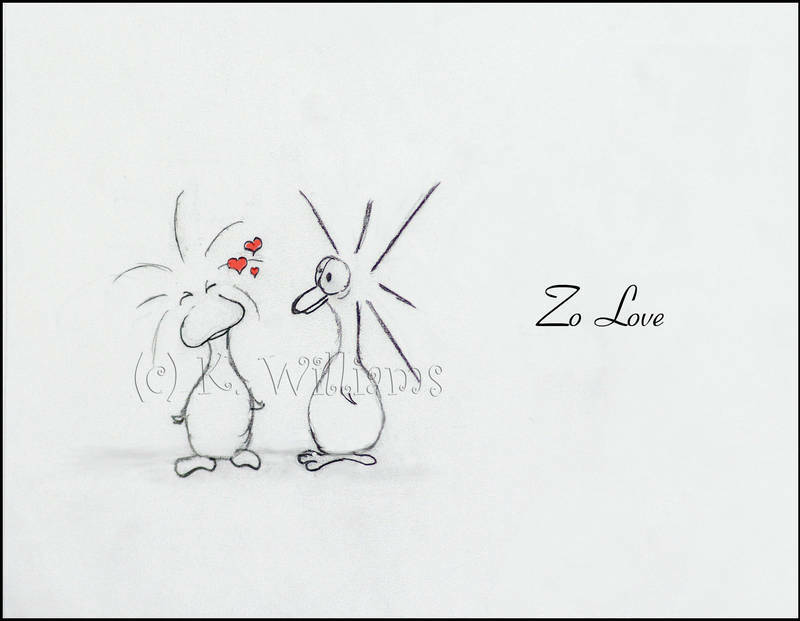 Our fearless duck, Zo, although she is no basic duck, is rather susceptible to the charms of a certain fowl. One might wonder what those charms are when considering the buttoned-up, rake drake, but it is not for us to love him. Zo does that completely (albeit in her own way). See more Zo Duck here on the site and over at my gallery.